The construction of the building has been attributed to Antonio di Sangallo. 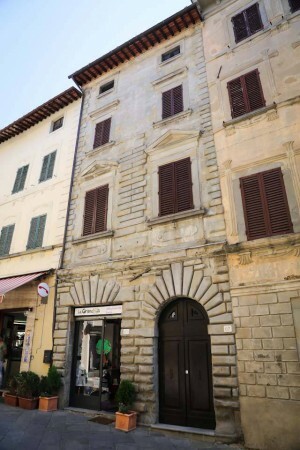 On three floors, is characterized in the lower part by a marked smooth ashlar. It is perhaps the 'new home' of the lords Di Monte, which is said in the documents close to their building. The Tavarnesi were its owners in the 2nd half of the 1800, even before lived in this palace Carlotta Albergotti Siri widow Giorgi.